I love Influenster. They give the best samples in exchange for reviews (even if you're not a blogger). If you haven't yet, sign up for Influenster stat! 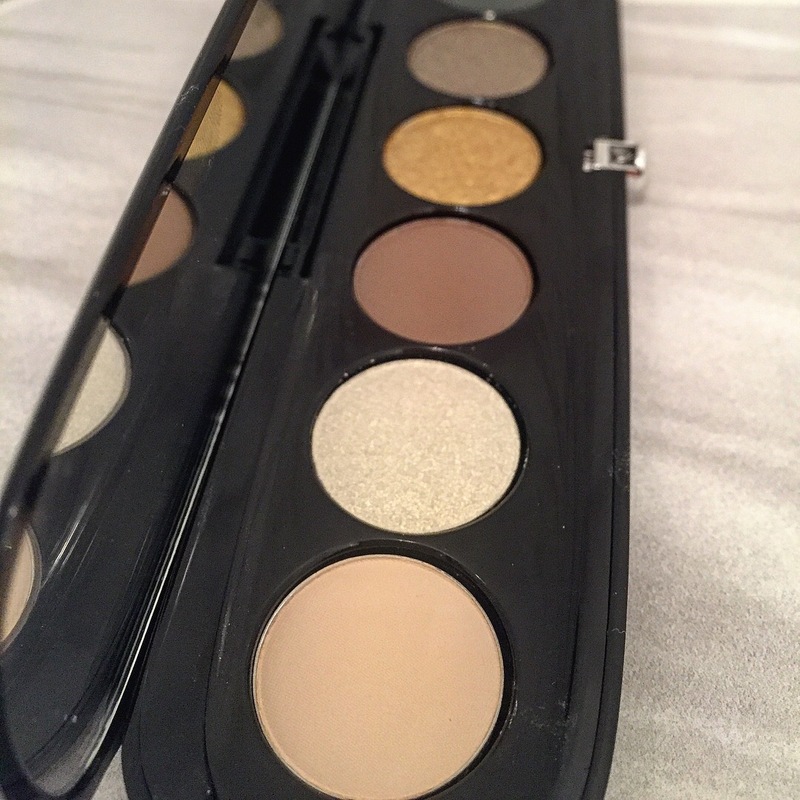 I recently received Marc Jacobs Eye-Conic Eyeshadow Palette in Edgitorial and was immediately drawn to the beautiful colors. The shades are bold and bright, which is usually out of my comfort zone, but because the colors blend so well, I have been able to create some looks I wasn't sure I had the ability to achieve. Pretty right? I've been drawn to the gold (Pleather Python) and dark brassy olive shade (Making a Scene) and they look great together. Below I'm wearing those colors, with the black (Everywhere) as an eyeliner. I have to warn you, you're about to see an extreme close up, but I wanted to really display the shadow. Please excuse the bags under my eyes! 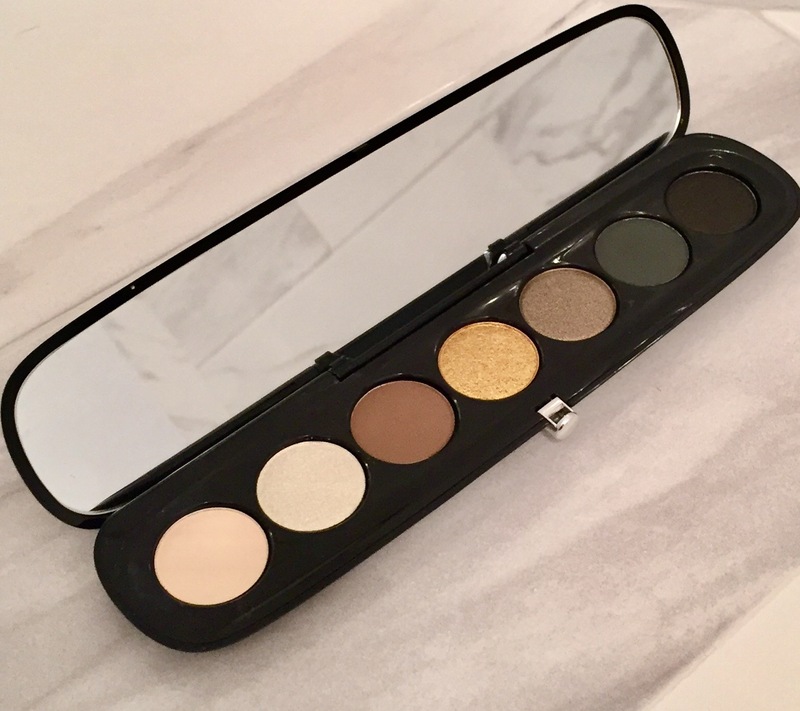 You can pick up Marc Jacobs Eye-Conic Eyeshadow at Sephora for $49. Edgitorial is popular and currently sold out, but there are five other color palettes to choose from. If you try this product out out, let me know your thoughts! Love the color choices on this palette! Love it! I took an Influenster eye shadow quiz a few weeks ago, but haven't heard anything. Bummer! 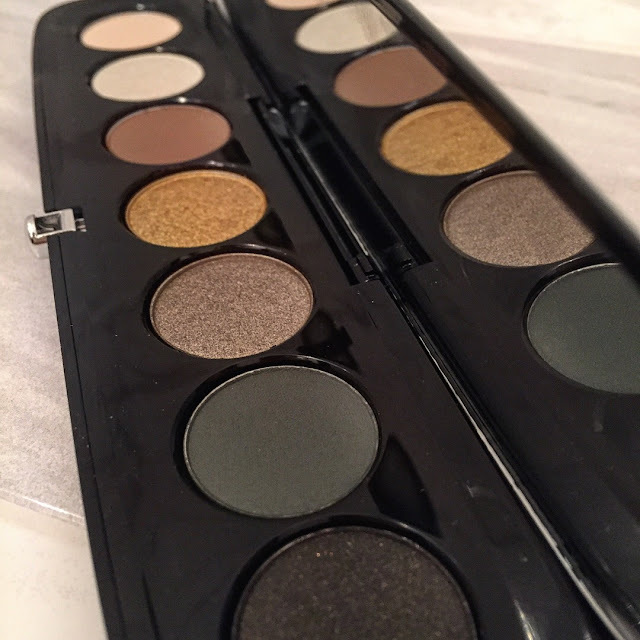 Wow, such a gorgeous palette - I love the colors, perfect for Fall! What a pretty palette! how do you get a box from influenster? I use to get them and then they just stopped. I don't even think I get emails from them anymore.